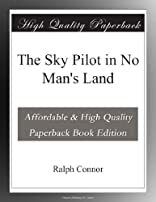 The Sky Pilot in No Mans Land was written by Ralph [pen name of Rev. Charles William Gordon] Connor. The Sky Pilot in No Mans Land was published by Oxford City Press.